Why did I get IELTS Speaking 5.5? I have a question relate to speaking test. 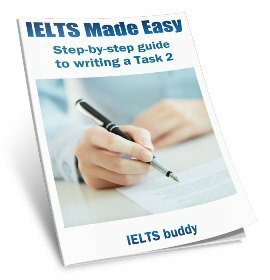 In ielts speaking test I used lots of academic words and some more complex sentences, plus I organized the structure well. And I was fluent enough to manage to answer all the questions. But, why did I got low mark in the speaking? (only 5.5). What was wrong with that? 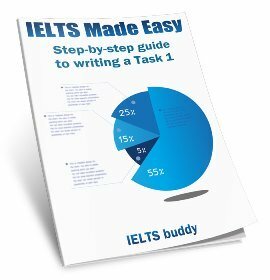 Comments for Why did I get IELTS Speaking 5.5? As I've said many times in the speaking forum, it is impossible to know why you may have got that score without hearing your actual test. But if you look at the band descriptors (you can download them) you'll see that you are graded on many things. 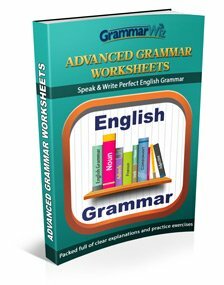 Using good vocab, some complex sentences, and answering all the questions does not necessarily mean you are going to get a high score. If you use lots of high level vocabulary but are still making mistakes such as with collocating them and word forms, it will still bring your score down for lexis (vocab). And with complex sentences, you may be using them but if you have some errors in them or they are fairly basic complex sentences you may still be limited to a 5 or 6. A band 7 will be showing quite a lot more skill in the complexity of their sentences and make very few errors. And fluency is not just a matter of answering the questions. Someone could answer all the questions but still not be fluent. Fluency is about the ability to express oneself easily and articulately, not necessarily the content of what you are actually saying. So anyway, as I say, I am just pointing out some possible reasons why you got a lower score than you expected, but really it is impossible to know unless we can hear your test or speak with you. How to get 7 in speaking? How about in speaking part 3, in order to get 7 band score, should I use compare and contrast phrases/sentences to show the examiner that we have two views side? Or perhaps, could you suggest some tips to get high score in speaking part 3. PS: I'm having and ielts exam in the end of this month. Please help! Remember you are marked on your performance over the whole speaking test. You aren't given a band for each separate part, so you can't really think about getting a 7 specifically for part 3. To do well in part 3 you do need to be able discuss the topics at length. Part 3 has the most difficult questions, so if you have the necessary skills and language to answer them well, you will do better. It's not going to be particularly relevant to your band score whether you look at both sides or not. As I said you need to find the IELTS speaking band descriptors online (do a search). You can then see what is required for a 7. Fluency: "speaks at length without noticeable effort or loss of coherence"
Lexical Resource: "uses some less common and idiomatic vocabulary and shows some awareness of style and collocation, with some inappropriate choices"
Grammatical Range and Accuracy: "frequently produces error-free sentences, though some grammatical mistakes persist"
Pronunciation: "is easy to understand throughout; L1 accent has minimal effect on intelligibility"
So if you don't fit those criteria, you are unlikely to get a 7. And unfortunately there isn't a magic tip that can make you stop making so many grammar mistakes, improve your pronunciation or make you speak more fluently. All those things take time and practice. Speaking tips are the more practical things, such as making sure you extend your answers, organise your part 2 properly before you start, speak for 2 minutes etc. Remember you are learning a language and there are not quick fixes to improve grammar, pronunciation or fluency. Like learning any language they take time. As I said, I have never heard your speaking - it may be that you are better than 5.5/6 but you just had a 'bad day' and maybe if you do go through some tips and do a bit more practice you can improve by the time your test comes around. But if you do have issues with your grammar and fluency etc that will take longer to fix. It would be interesting if you post back here after your next test and let people know if you managed to improve or not. 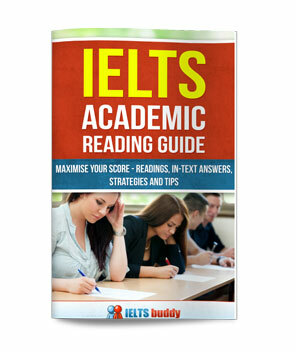 what is needed to reach 7.5 in ielts speaking? I have done one ielts and i my result in speaking part was 6.5 i am conscious that i have done many mistakes. What is your advice for me to reach 7.5 next time that i will do the ielts. i have just 20 days to prepare for it. It's not possible to tell someone how to get a 7.5 in a forum post. There are too many different things you may need to do. Also, what you need to do to get a 7.5 very much depends on what is stopping you personally from getting 7.5 and it is not possible to know without hearing you speak or hearing you do a full practice test. You would need someone to assess you and give you some feedback to be sure of exactly what your issues are that you need to work on. Is it fluency? Lexis? Grammar? Pronunciation? We don't know. All my current tips are on the site, so for those take a look through the speaking sections and lesson sections of the site. Also do an online search for the "IELTS public speaking band descriptors". They will tell you what the examiners are looking for for a 7.5. Moving up a whole band in just 20 days could be very difficult though. If you're really in doubt and feels like you didn't deserve the score you've got, then i suggest that you should have it re checked, but in order to do that, i think you should pay a certain amount. Its camera recorded so a review of your interview is possible. I took my speaking test today. In the part 2 I was asked to talk about a tall building. I spoke about the taj mahal. Was that a wrong choice as taj mahal is not so tall? Will I loose mark for choosing this? The examiner stopped me before 2 minutes. Please reply. You are thinking about it too much - I'd say the Taj Mahal is a fairly tall building so there is no need to worry, but in any case, the examiner will not be that picky and will focus on what you were saying rather than analysing whether the Taj Mahal is tall or not. The examiner will only have stopped you because the time was up so don't worry about that. What if we take pause in speaking part 2. will our score get reduced? Everybody pauses at times as they speak. It's really not possible to comment on your fluency without hearing your test. i paused for 5-7 sec for 1 of a question in part so do u think it will result low marks? You are misunderstanding how the marking works. You are marked on various criteria throughout the whole test. One specific thing like that is not relevant (unless maybe the examiner is trying to distinguish between candidates that are band 8 or 9). The examiner will listen out for pauses that might show your have issues with fluency but one is not important. If you keep doing it though or are doing it now and again then they will consider that your fluency is being affected. But what band they award for that really depends on how much of an issue it is and how often. I have received 5.5 in speaking. I have started with the good note. I had between pauses while speaking as I was thinking before speaking. Round 2 I spoke for whole 2 minutes until interviewer stopped. In 3 round she asked me at least 10 rapid question. On particular word I said is because of that I got 5.5 as I have spoke wrong word? It's difficult to know why you got that score without hearing your test. Using the wrong words may have been a problem but you are marked for a variety of factors over the four criteria so there were probably other issues as well.